From the Edit Forms page you can see all your forms. Here you can edit the forms you’ve created and see how many views and entries you’ve received and their conversion ratio. 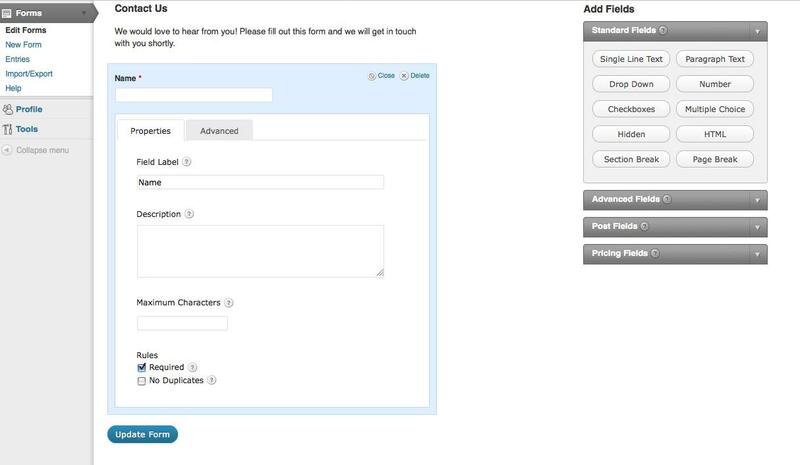 to display the forms you want to view. Id: This is id given to your form by default. Form Name: This is the form’s title, which can be edited through the form editor. Views: How many times your form has been looked at. Entries: How many entries have been created with the form. Conversion: How many times users have looked at the form and sent in an entry. 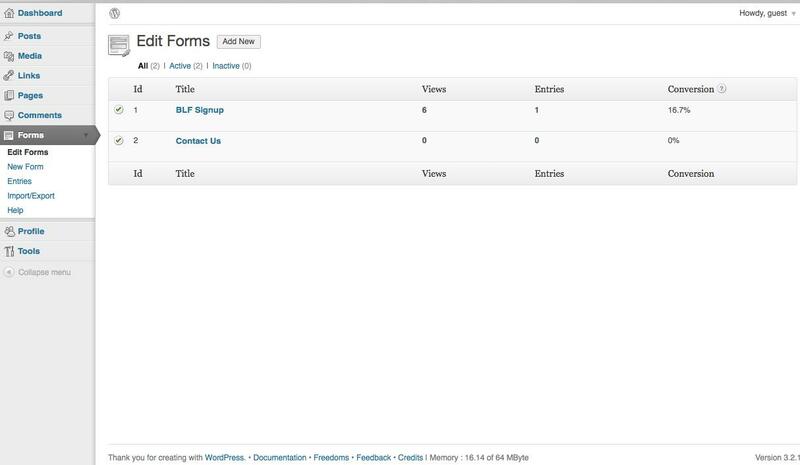 You can hover over a form to access options to manage and edit it. 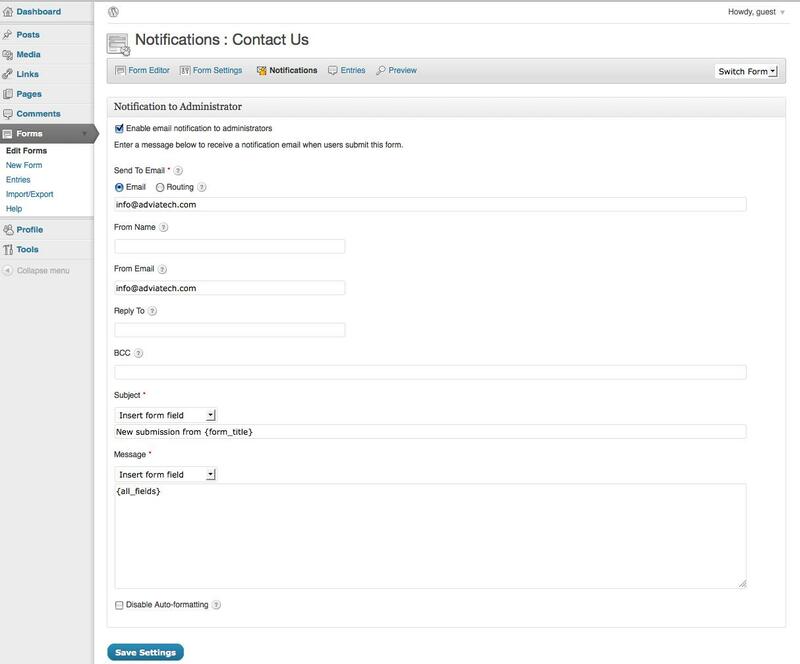 From here you can also manage notifications, duplicate the form, or delete it. 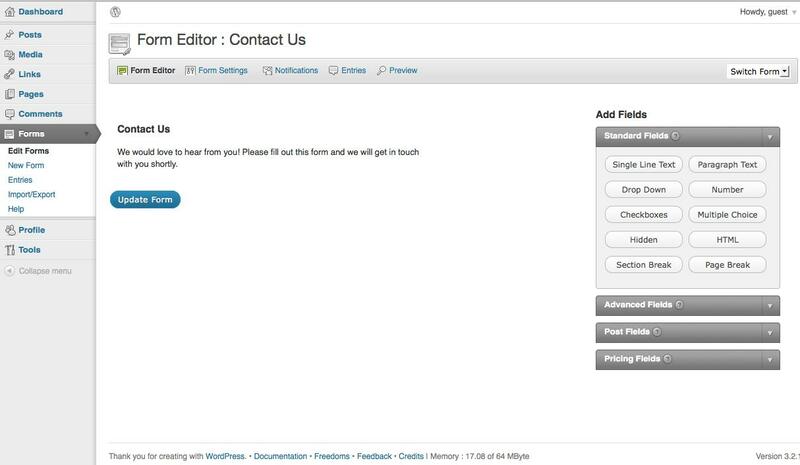 The form editor allows you to create a custom contact form with options for text and layout. From the right add fields toolbox, click the element you want to add and it will insert it at the end of the form. Each form field can be modified by hovering over it. This will bring up a range of options to edit it as you want. You can also rearrange the order of the elements on your form by dragging and dropping them into the order desired. Section Break: a way to separate the content to organize your fields in a clean way. To set up your notifications preferences: go to the Forms Menu on the left-hand sidebar, click on edit forms and then notifications on the toolbar. Here you can have a visitor’s form go to a specific email. This way you will be notified immediately and can respond to inquiries in a timely fashion. In the subject area, the insert form field drop down menu allows you to generate a merge field. 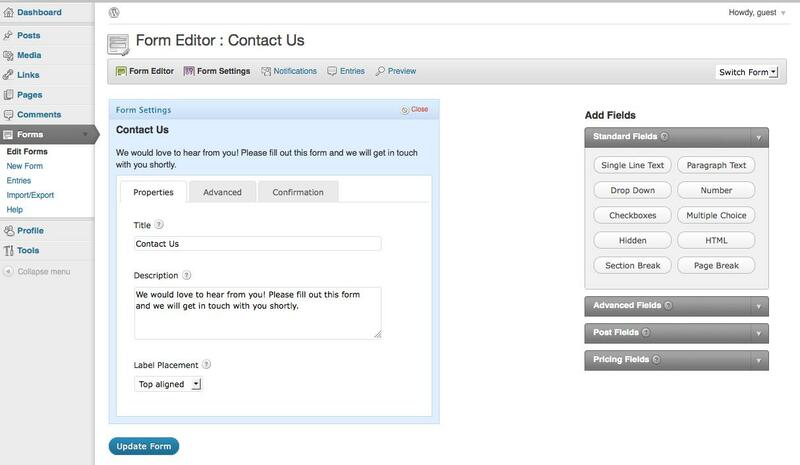 This includes creating a message to be automatically sent to the user when they send a form. You can create a standard text confirmation or redirect them to a page or another URL after the form has been submitted. When you have all the relevant info filled out, press the save settings button to save the changes. Enter a title for your contact form, a description including any user instructions, and alignment preference. Click the update form button to save the changes. Field Label: Enter the label of the form field. This is the field title the user will see when filling out the form. Description: Enter the description for the form field. This will be displayed to the user and provide some direction on how the field should be filled out or selected. Maximum Characters: Enter the maximum number of characters this field needs. duplicates will require that a field value does not currently exist in the entry database for that field.